There are lamps. And then there is lighting. What’s the difference? The lighting you select for your home does a lot more than just provide illumination to avoid nasty, late-night falls on your way to the bathroom. The right lighting is a key component to accent your home décor, and that’s certainly the case with tech lighting. Tech can mean many things, but we’re using it to mean an edgier look, a difference source, or an unexpected shape. Finding the right lighting for your home doesn’t require driving all over creation, from one DIY store to the next. 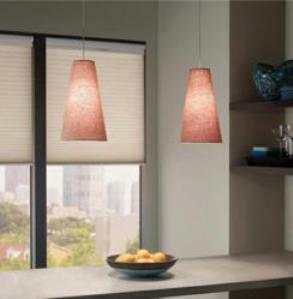 It’s as easy as visiting the following Best of Tech Lighting for the Home list. Traditionally chandeliers are large, multi-faceted hanging lights with 1,426 light bulbs adorned with just as many pieces of crystal. For tech lighting aficionados, these simply will not do. If you’re looking for something more contemporary, there’s a good chance a lamp specialty store has what you need. 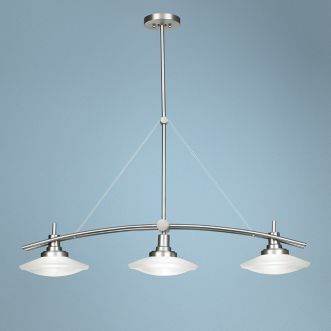 In addition to this Nickel 3-Light Island Chandelier, there is a seemingly endless supply of lighting designs. Perfect for the home office or den, LED desk lighting does a lot more than provide your home with a great looking tech lighting alternative. With the same output as traditional bulbs, but using less power, LED lighting creates less strain on the eyes, and the headaches that are often associated with eye strain. Recessed lighting emits an immediate modern, technically savvy tone for any home. There are a ton of unique lights available for the most discerning tech lighting tastes. And they start at a price that is easy on the wallet; I think I’m beginning to like these even more now. Oh, many stores will even hook you up with the parts you need to install and service your recessed illuminations. Release your inner (or not so hidden) geek when you install light saber wall lights. 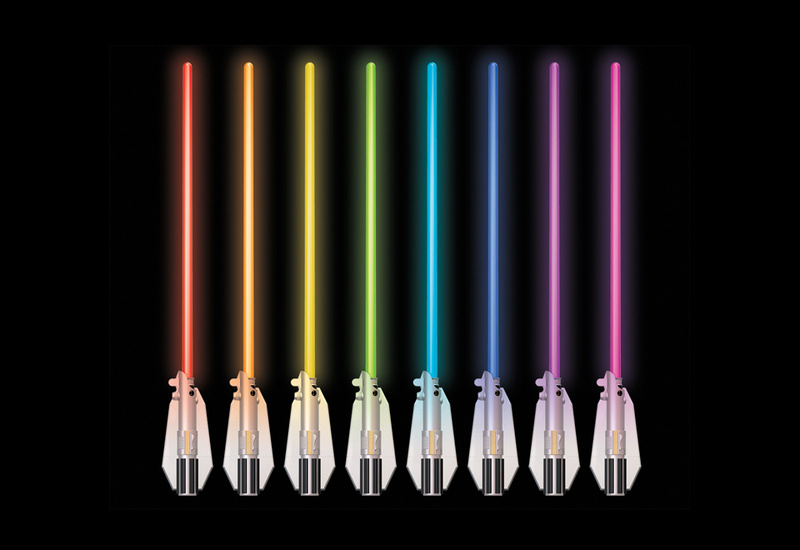 These Jedi-themed lights come complete with a remote control, and include authentic light saber charge-up sounds! This is beyond high tech…it’s science fiction tech. There’s no reason your home lighting has to be what most people consider home lighting. 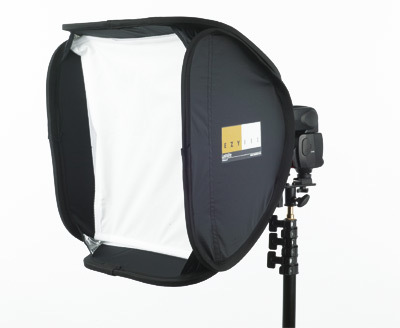 Step outside of the box, and consider other kinds of lighting sources, like this photo studio lighting. 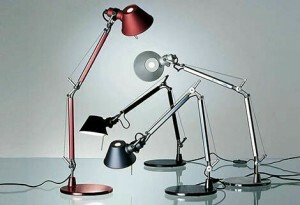 Studio lights can provide a soft, diffuse lighting, perfect for your urban loft or trendy city apartment. Or really mix it up, and use sleek modern photo studio lighting amid your collection of antiques! Sometimes the tech aspect of a home lighting choice isn’t about how it looks. It’s about how it performs. 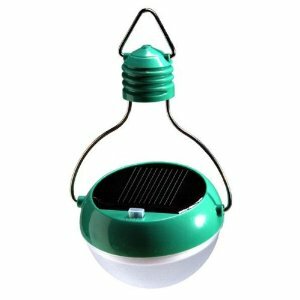 That’s the case with these solar lights. They’re not flashy. The won’t make the cover of a home decor magazine. But within these lights is the ability to charge them during the day, then bring them indoors to light your home at night. That’s light without plugs. Light without feeding coal or oil power plants. Light without by-products. Isn’t all that worth a little sacrifice in the couture home fashion front? No matter what kind of high tech lighting you choose for your house, make sure you consider safety, cost, impact and of course, what message your choices send about your style. When it comes down to it, the lighting you choose says a lot about you. Make it good!